4.9 out of 5, based on 9 ratings and 9 reviews. Back by phenomenal demand, Eugenius! returns to The Other Palace for a strictly limited run. Ben Adams and Chris Wilkins’ homage to the great sounds and cinema of the 80s reaches across time and space to enchant you whatever your age. 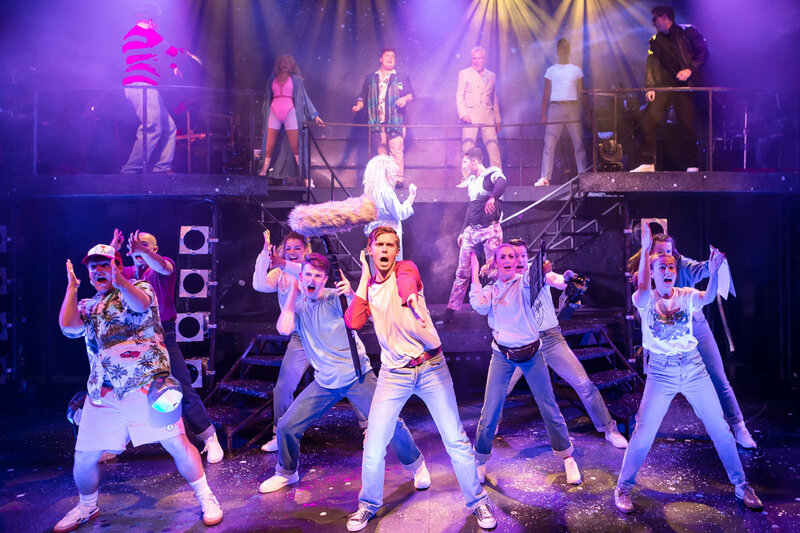 With a fresh new look and new songs, be part of the journey before Eugenius! takes off and conquers the Universe! 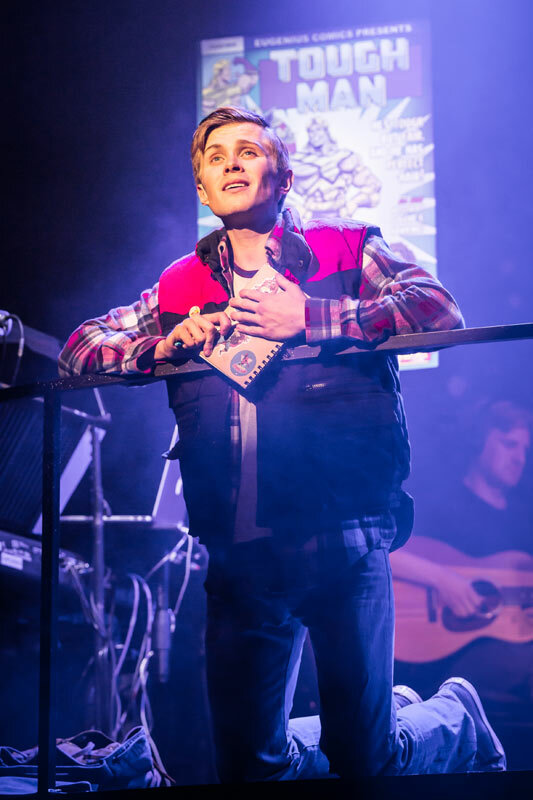 The cast includes Rob Houchen (Les Miserables), Laura Baldwin (Big Fish The Musical), Daniel Buckley (Book Of Mormon, Loserville), Neil McDermott (EastEnders), Alex Bourne (Annie), Simon Thomas (The Phantom of the Opera), Emily Tierney (Wicked, The Wizard of Oz), Scott Paige (The Addams Family) and Alison Arnopp (Dusty). 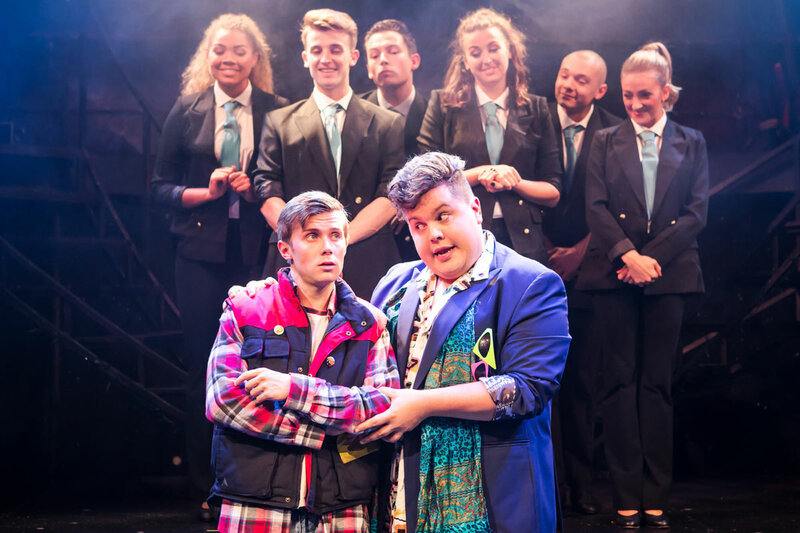 At The Other Palace, book your Eugenius! tickets today! "Eugenius! ", The Other Palace (formerly St James Theatre) tickets may be purchased by following the Book Tickets links on this page. You will be purchasing your "Eugenius!" tickets from the Ticket Machine Ltd, trading as LOVEtheatre. 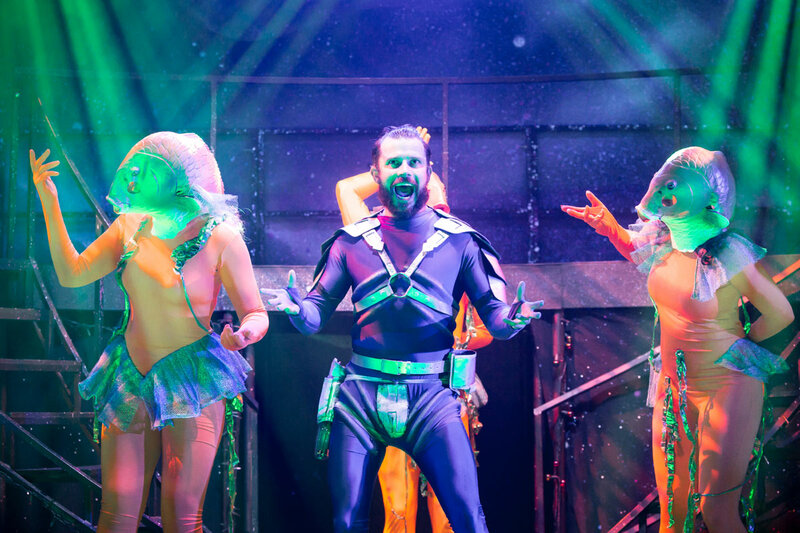 We will always provide you with our contact details before you book your "Eugenius!" tickets. Where applicable, "Eugenius! ", The Other Palace (formerly St James Theatre) ticket prices may include a booking fee which will always be shown separately. 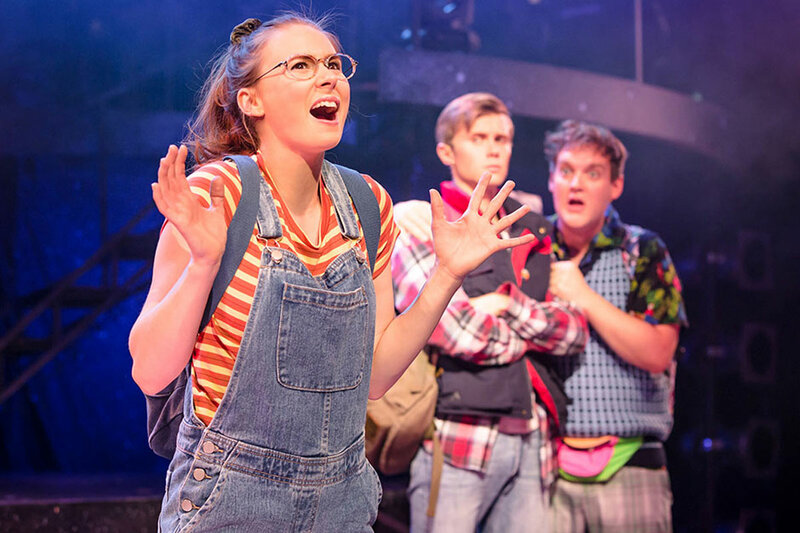 LOVEtheatre will not charge you any additional amounts for the dispatch/delivery of your "Eugenius!" tickets. Prices are subject to change without notice. Your purchase of "Eugenius! ", The Other Palace (formerly St James Theatre) tickets is conducted securely online using 256-bit encryption assured by DigiCert. On receipt of full payment for your "Eugenius!" tickets we will issue a confirmation of booking. When booking online this will be in the form of a confirmation page and accompanying confirmation email. 2nd time I’ve seen this. Really good excellent fun. Recommend this to anybody. A very uplifting musical, the music is memorable and catchy. Laura Baldwin as Janey has a fantastic voice, as she did in The Big Fish. I would love to hear her sing ’Gravity’ from Wicked. The rest of the cast did a brilliant job with the characters they played. An enjoyable experience, well worth the visit. The songs and dancing were amazing and so was the acting. I really enjoyed myself. I laughed so much! It would be such a shame to miss it. 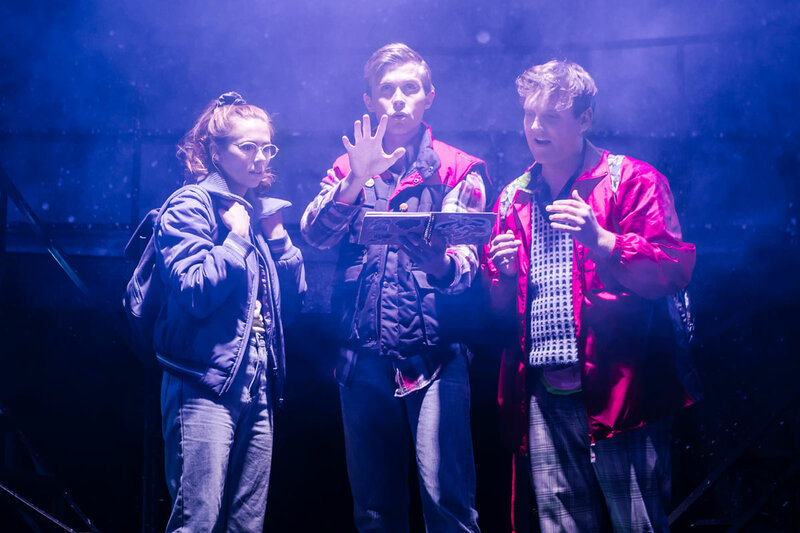 Fantastic fun show, definitely recommend it to anyone who loved 80s films and music! Excellent show, smiled from beginning to end! Very fun show, lots of wonderful geeky fun to enjoy and great catchy music! You’d be a fool to miss it. Very enjoyable show with a lot of laughs. Beware the songs are very catchy and you’ll still be humming them a few days later!